Working around sharp objects can be nerve-wracking and dangerous. Fortunately, you can find all sorts of safety gloves for nearly any situation. Gloves have been used for centuries for things as simple as digging in a garden or chopping wood. They can be used to protect your skin as well as form a better grip on an object. Both of these features are very helpful and will give you piece of mind when performing a task that could cause serious injuries. There are two main ways to sustain a serious cut. You can receive a cut to your skin from a sharp aobject having a heavy downward force on your body to puncture the skin or from a sawing motion from a sharp object such as a blade. You will need gloves that have a different material and design to protect yourself from these two types of injuries. Blades with a serrated edge like a saw or a knife are meant to slice things open in a back and forth horizontal motion. To protect yourself, you will need a material that can withstand the frictional force the blade exerts to the glove to keep it from cutting through the material to your skin. When handling equipment such as a saw or knife you still want to have the dexterity in your grip and range of motion. Companies have come up with materials that can withstand a serrated blade and still allow all of your fingers to move as if they weren’t covered with up with something. Leather used to be the material used for such purposes, but this day in age we have materials such as nylon and more notably Kevlar. DuPont invented Kevlar in 1965. It is also used to make bullet proof vests as well as many other applications. Another way to sustain a cut is from downward pressure as opposed to a sawing motion. In this case your gloves will need to be strong enough to oppose that force to prevent your body from being punctured or even smashed. Much like armor from Medival times gloves are made out of metal mesh to allow some range of motion but also to protect you from the strong impact of the blade. This hazard could come from the chopping motion of an axe or blade on a lever. A soft material may stop the blade from cutting through it, but the high impact would still crush your fingers. The mesh metal link design has proven to be a good technology to protect the body from this heavy and quick impact. Preventing an accident from occurring can also depend on gripping the tool having enough force to hold the blade in place. 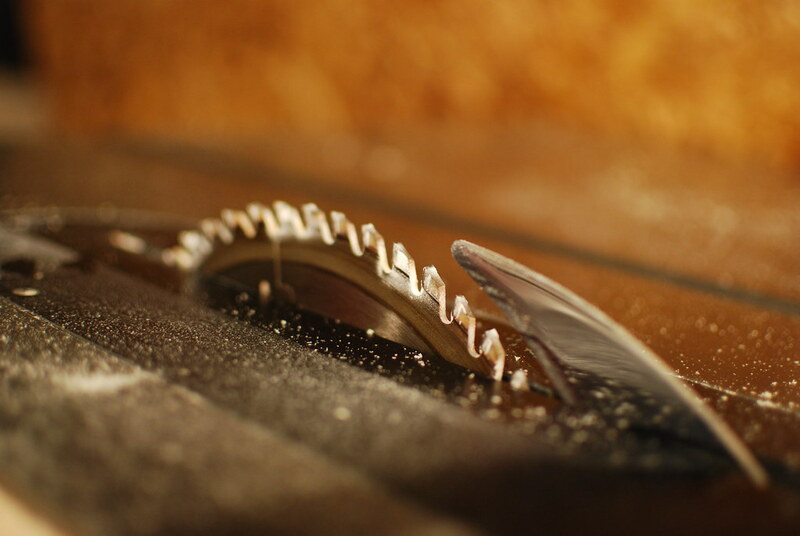 Allowing a blade to slip out of position is the quickest way to start an accident. Gloves can have rubber grips for high friction or a material that absorbs water and will work in wet conditions. Make sure the gloves are ergonomic for the person wearing them so that they have full control of what they are doing. A good fit, a good grip, and the correct material to shield you from different blades are important features to pay attention to when choosing the right glove for the job. This article was written by Nick Quinlan. Nick worked his way through college in the construction industry and quickly learning the importantce of safety in the workplace. He now works as a professional writer for www.eCompliance.com. Check out his Google+! Help Children Stay Protected with Proper Home Security Education 5 Ways To Avoid Itching Your Eczema Ten Most Common Signs And Symptoms Of Crystal Meth Addiction What Medical Conditions Can Prevent You From Getting A Commercial Driver’s License? Ground All Cables To Prevent Data Center Damage!! !